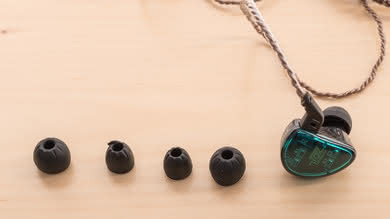 The KZ AS10 are average mixed usage wired in-ears that look high-end and have a decent audio reproduction. 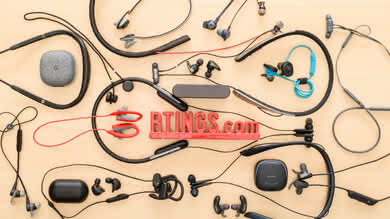 They stand out with their transparent design and braided audio cable that's detachable and replaceable. The buds are angled for a better fit within the contour of your ears and provide great passive isolation. 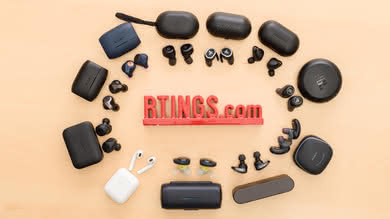 However, they are slightly bulky so listeners with smaller ears might not find them as comfortable and unfortunately, there’s no extra cable in the box. 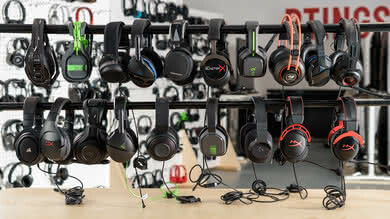 The ones we tested didn’t have in-line controls or a microphone, but KZ does offer a variant with both. The no in-line remote variant is a bit limited. The KZ AS10 are very similar to the ZS-10 design-wise, but they are a bit thinner. They look great and are very well designed. 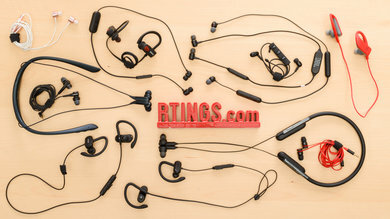 The angled earbuds shape helps to find a better fit and makes them more comfortable than most in-ears. 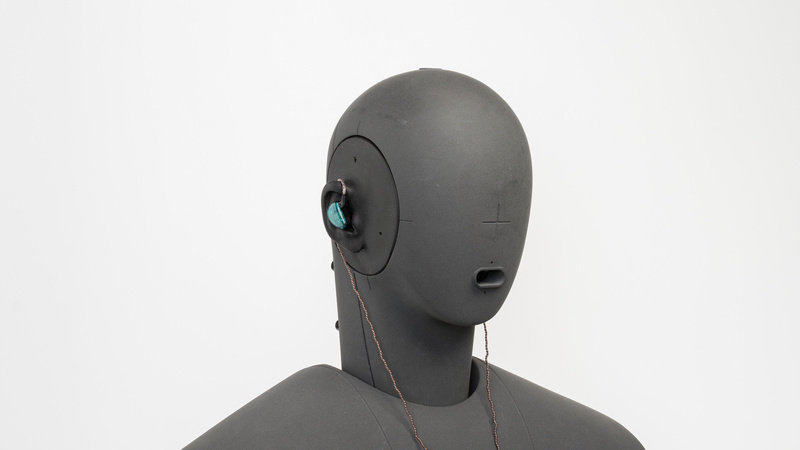 Unfortunately, the buds are slightly bulky and some listeners with smaller ears might feel a bit of discomfort after wearing them for a while. They also come with three different ear tip sizes to help you find the perfect fit. 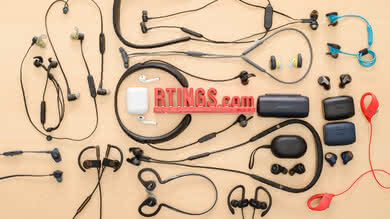 Like most in-ears, they are quite compact and easily stored in most pockets or bags. The detachable braided cable is a nice addition and makes them more durable, but no extra cable comes in the box, which is slightly disappointing. 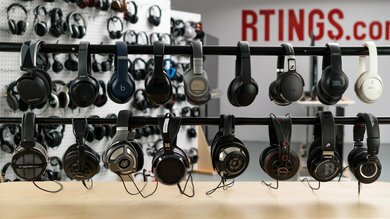 On the upside, they are sturdy and feel like premium headphones, without having a high price tag. 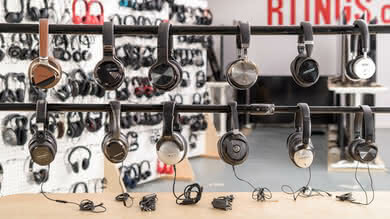 The KZ AS10 have a stylish look that would make you think their price range is higher than it actually is. 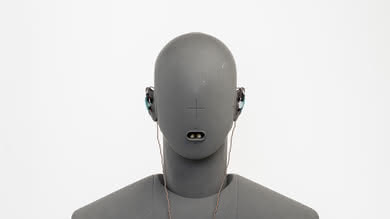 The earbuds have transparent casings that lets you see the electronic parts of the headphones. 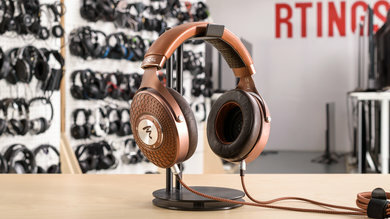 The braided cable is also a nice addition to their premium feeling. 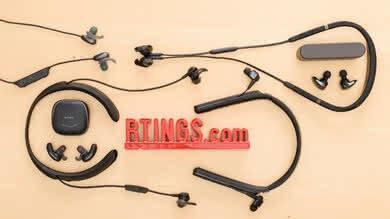 They are slightly bulky, but the earbuds are angled to give you a more stable fit than most in-ears. The KZ AS10 are decently comfortable in-ear headphones. The earbuds are angled to suit the contour of your ear for a better fit. They are quite bulky, which may not fit every listener, especially people with smaller ears, but they are thinner than the similar KZ ZS-10. On the upside, they also come with different tip options to help you find a better and more comfortable fit and air-tight seal. The KZ AS10 we tested do not have an in-line remote with a control scheme, but there is a version with one multi-function button and no volume controls. 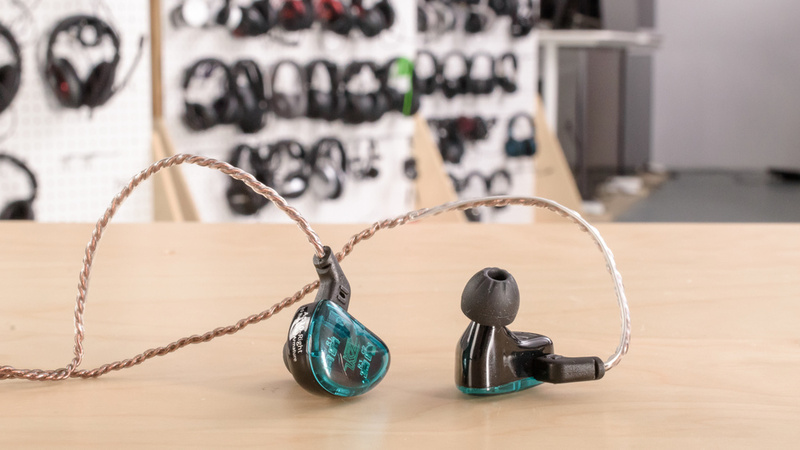 Like most in-ears, the KZ AS10 are very breathable, and you shouldn’t sweat more than usual while wearing them. They are a little larger than the usual in-ear designs, so they will trap a bit more heat, but this shouldn't be very noticeable. They are breathable enough for multiple different casual usages and for working out. 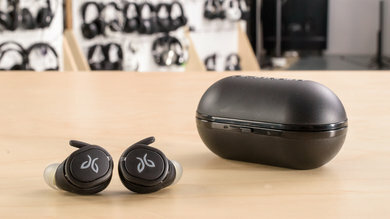 Like most in-ears, the KZ AS10 are very portable headphones that will easily fit in most pockets. 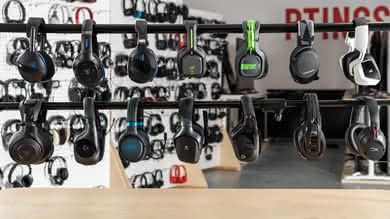 Unfortunately, they do not come with a case to protect them while you're on the move. The KZ AS10 do not come with a case. 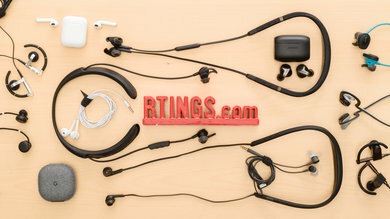 The KZ AS10 have a good build quality and come with a braided and detachable cable, but unfortunately, they don't come with an extra one in the box. 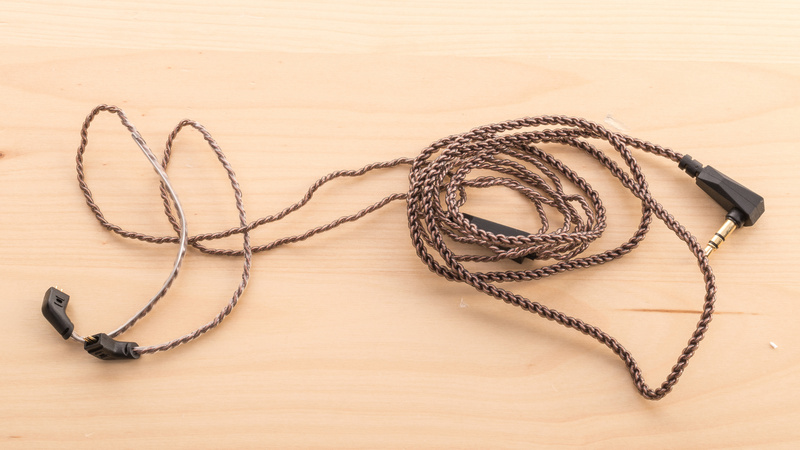 The braided cable seems durable enough for most usages and looks great, but it is not very thick. On the upside, you can replace it if it gets damaged which makes the AS10 more durable than most typical in-ears. 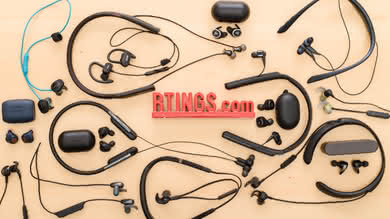 The earbuds are dense with see-through casings that should handle a few drops without breaking. 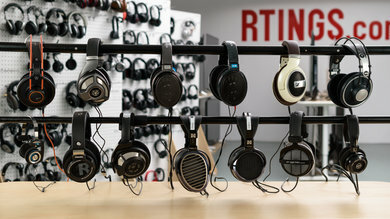 For similarly designed headphones, take a look at the Tin Audio T3 or the BGVP DM6. 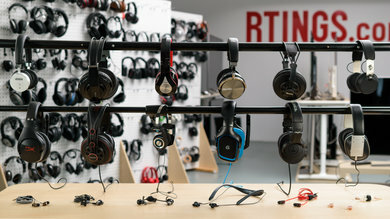 The KZ AS10 are stable headphones due to their ear-hook-like design. 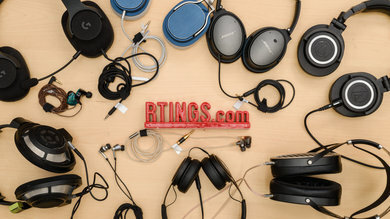 It’s not a real rubber or plastic hook, but the flexible cable is designed to go behind your ear and it is covered by a slight coating for comfort. 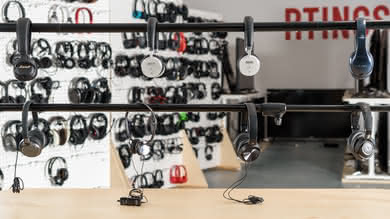 They aren’t stiff hooks but are stable enough for most sports and we don’t expect the headphones to fall out of your ears, unless the cable gets pulled or stuck on something. This AS10 model comes with a detachable braided 1/8" audio cable with no in-line remote, but there is a version of these headphones with one. The KZ AS10 is a decent sounding pair of closed-back in-ear headphones. They have a deep, powerful and consistent bass, an even and well-balanced mid-range and a good treble. 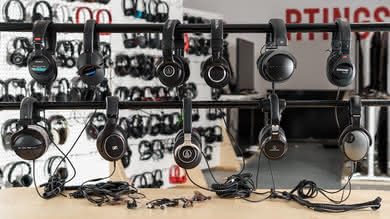 However, their bass is a bit boomy and muddy, their mid-range is a bit recessed and will therefore sound slightly hollow on vocals and lead instruments, and their treble is a little bright and uneven, especially on sibilances (S and T sounds). 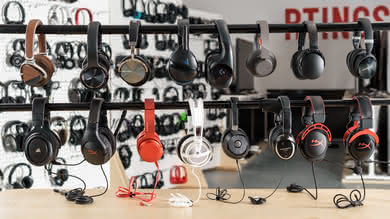 Also, like most other in-ear headphones, they don't have a large and speaker-like soundstage. Compared to the ZS-10, the AS-10 performs nearly identically but have a little bit more distortion. 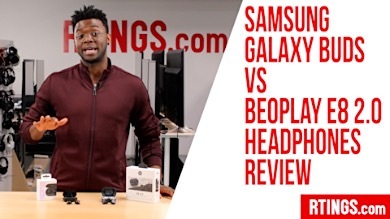 The difference between these two headphones may not be noticeable to most people. The bass of the KZ AS10 is great. 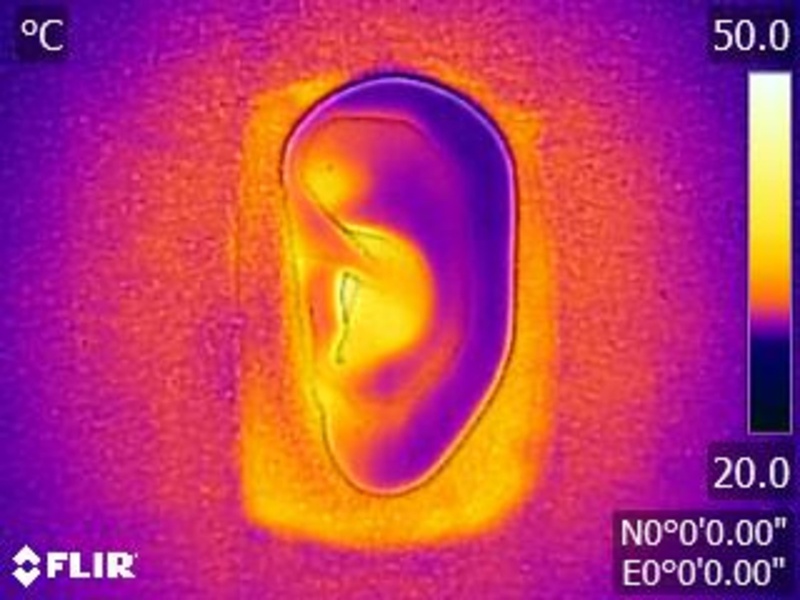 LFE (low-frequency extension) is at 10Hz, which is excellent. 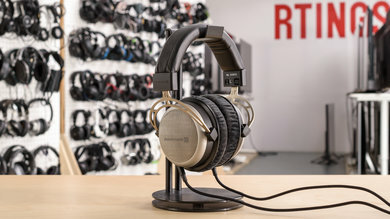 Low-bass is within 1dB of our neutral target, meaning these headphones produce just the right amount of thump and rumble, which is common to bass-heavy music and sound effects. Mid-bass, responsible for the body of bass guitars and the punch of kick drums is flat but overemphasized by about 2dB. 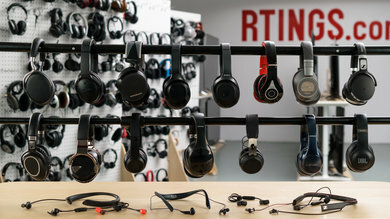 High-bass, responsible for warmth is overemphasized by more than 4dB, making the bass of these headphones a bit boomy and muddy. The mid-range is very good. The overall response is quite even and decently balanced. 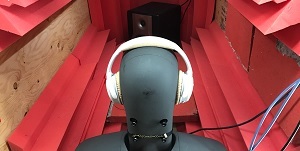 However, the broad 4dB recess centered around 700Hz pushes vocals and lead instruments towards the back of the mix by giving more emphasis to the bass and treble frequencies. The treble performance of the KZ AS-10 is good. Low-treble is over our neutral target by about 2dB, bringing a bit of excess intensity and brightness to the vocals and lead instruments. Mid-treble is rather uneven, which makes the reproduction of sibilances (S and T sounds) a bit inconsistent, by overemphasizing some and underemphasizing others. The frequency response consistency of the KZ AS-10 is excellent. 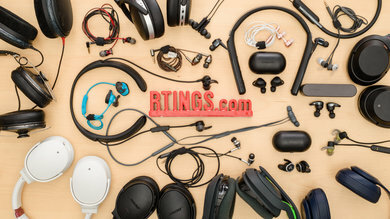 If the user is able to achieve a proper fit and an air-tight seal using the assortment of tips that come with the headphones, then they should be able to get consistent bass and treble delivery every time they use the headphones. 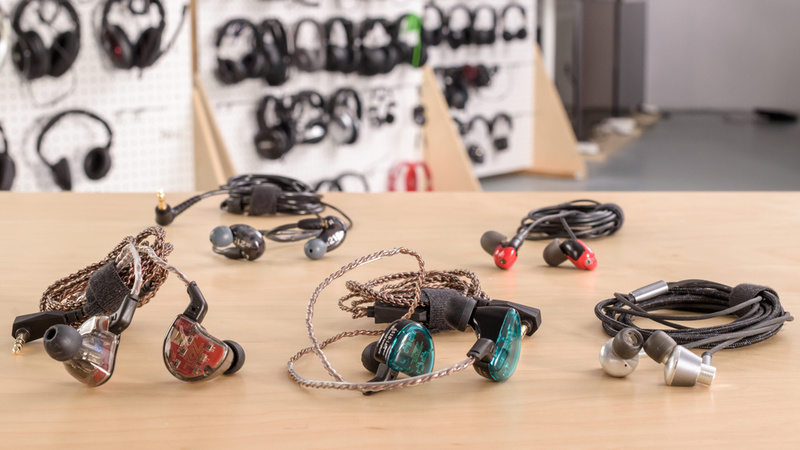 Compared to the ZS-10, the AS-10 have slightly thinner and smaller buds, so they may be able to provide a better and more consistent fit for those with smaller ears. The imaging of the KZ AS10 is great. Their weighted group delay is at 0.19, which is among the lowest we have measured. The group delay graph also shows that the entire response is well below our audibility threshold. This ensures a tight bass and a transparent treble reproduction. Also, the L/R drivers of our test unit were very well-matched in frequency, amplitude, and phase response. This is important for accurate placement and localization of objects, such as footsteps and instruments, in the stereo field. The soundstage is poor. 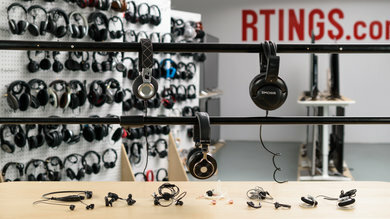 This is because creating an out-of-head and speaker-like soundstage is largely dependent on activating the resonances of the pinna (outer ear). 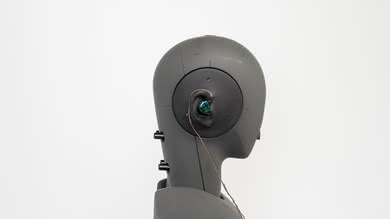 The design of in-ears and earbuds is in such a way that fully bypasses the pinna and doesn't interact with it. 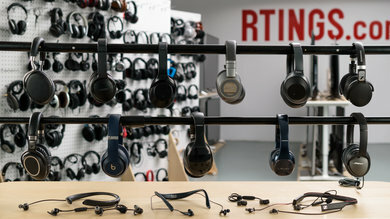 Also, because these headphones have a closed-back enclosure, their soundstage won't be perceived to be as open as that of open-back earbuds like the Apple AirPods, Google Pixel Buds or the Bose SoundSport Free. The harmonic distortion performance is average. Unlike the ZS-10, which has a good THD performance, the AS-10 show a noticeable bump in THD around 1KHz. This could make the sound of this region a bit harsh and impure. Their THD performance in the bass range is quite good, regardless of the level. 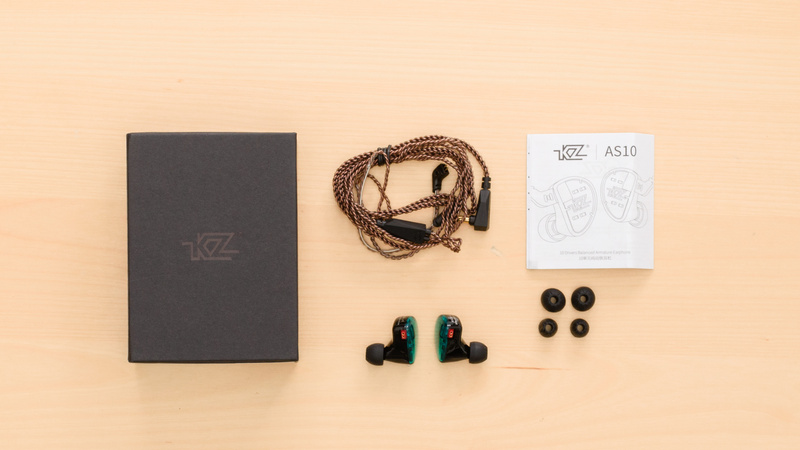 The KZ AS10 provide a great amount of passive noise isolation due to their in-ear design and even block low frequencies like engine rumbling to a good degree. 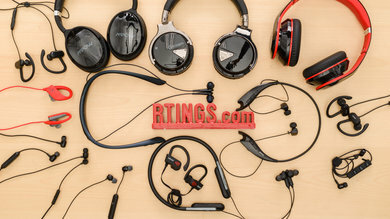 The tip options that come with the headphones can help you find a better air-tight seal, and their smaller sized earbuds fit better in the ears compared to the ZS-10. 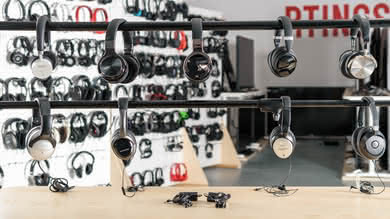 Also, like most in-ears, the AS10s don’t leak much so you can mask even more ambient noise by raising your volume without bothering people around you. The isolation performance of the KZ AS10 is great. 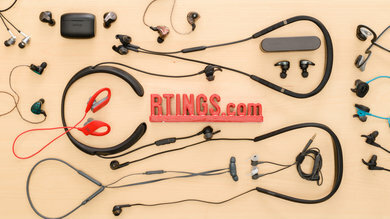 They surprisingly performed much better than the similar ZS10, and we suspect this is due to the slightly smaller and thinner design of the AS10 which allows for a closer and tighter fit in the ear. In the bass range, where the rumble of airplane and bus engines sits, they achieved about 14dB of isolation which is above-average. In the mid-range, important for blocking out speech, they reduce outside noise by more than 24dB, which is very good. In the treble range, occupied by sharp S and T sounds and air conditioning systems, they isolate by more than 47dB, which is outstanding. The leakage performance is excellent. 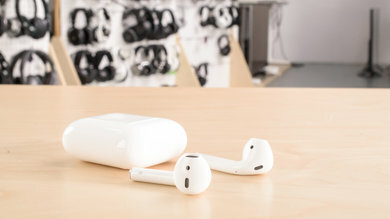 These in-ears basically do not leak so there's no need to worry about disturbing the people around you unless you are blasting your music in a very quiet place. With the music at 100dB SPL, the leakage at 1 foot away averages at 27dB SPL and peaks at 39dB SPL, which is way below the noise floor of an average office. 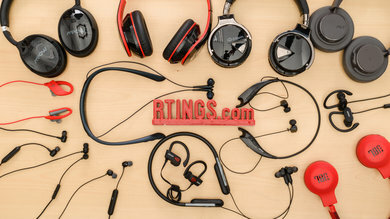 The KZ AS10 headphones we tested didn't have an in-line microphone, but there is a variant with one. 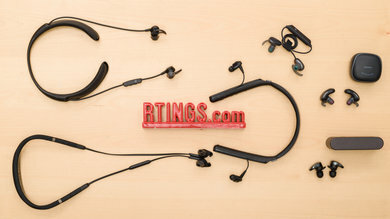 For a wired headphone with a good in-line microphone check out the Bose SoundTrue Around-Ear II, the QuietComfort 25 or the Apple EarPods. 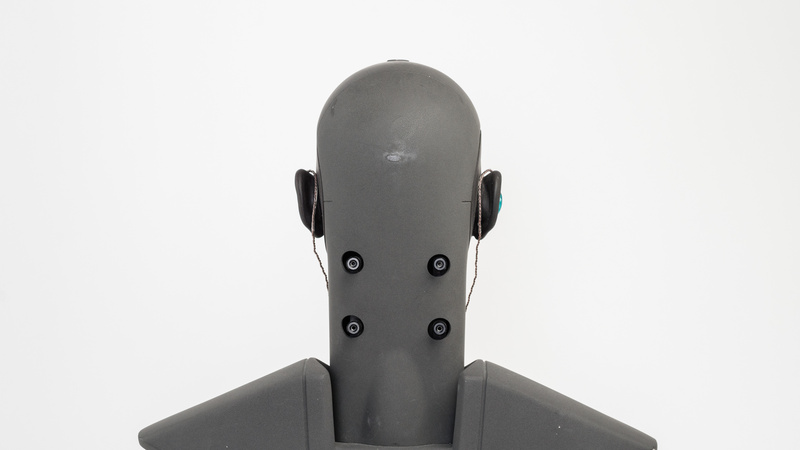 The AS10 do not have a microphone and therefore, the recording quality has not been tested. 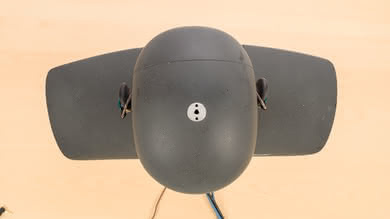 The AS10 do not have a microphone and therefore, the noise handling has not been tested. 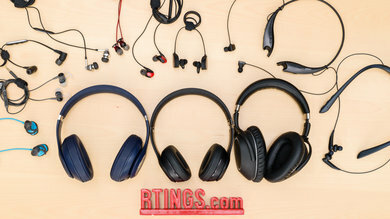 The KZ AS10 headphones do not have any active features and do not have a battery. 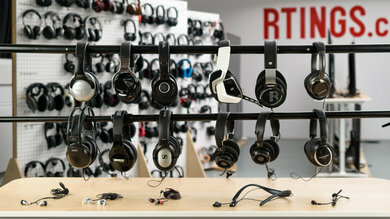 You also can't customize their sound since there is no dedicated app or software support. 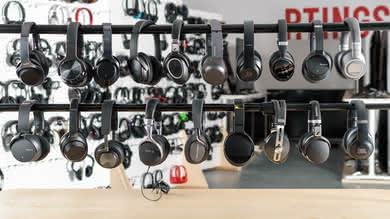 The AS10 are passive headphones without active components or a battery. 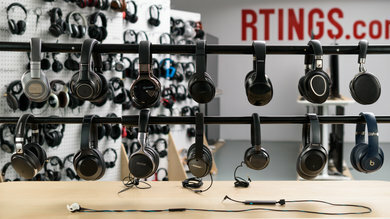 The KZ AS10 model we tested are wired headphones without an in-line remote, Bluetooth connection or base/dock, but the option to have an in-line remote and mic is possible with another model variant. 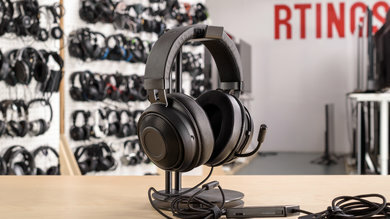 They come with a detachable 1/8" TRS audio cable which makes them great for watching videos and movies as they practically don't have any latency, like most wired headphones. 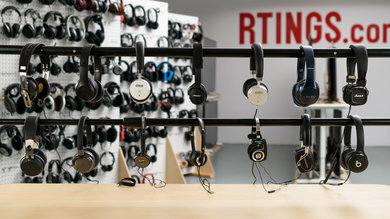 These headphones are wired and don't have a Bluetooth connection. 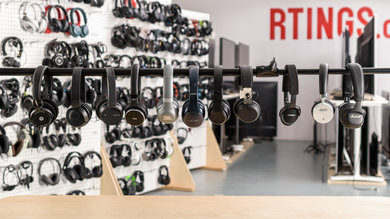 The KZ AS10 headphones come with a replaceable 1/8" TRS audio cable without an in-line mic or remote that will only provide audio when connected to your phone, PC or console controllers. There is a model variance that comes with an in-line remote and mic. 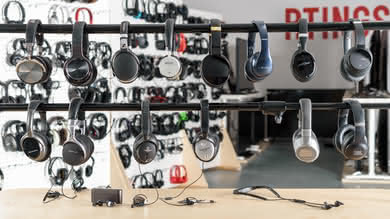 These headphones don't have a dock. 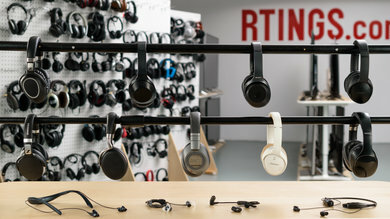 These passive wired headphones don't have a wireless range. 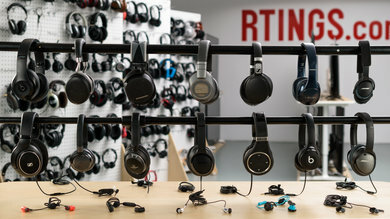 The KZ AS10 headphones have practically no latency due to their wired connection. This also means that their range is limited by the used cable's length. 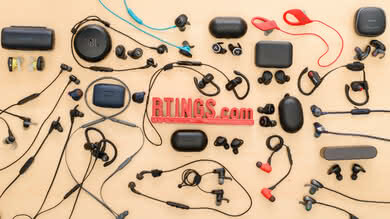 Overall, the KZ AS10 are decent wired in-ears headphones that are very similar to the KZ ZS-10. They are great looking due to their transparent design and they are more comfortable than typical in-ears thanks to their angled earbuds. 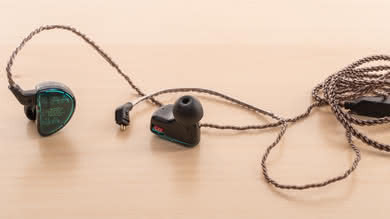 They also come with a braided, detachable and replaceable cable that makes them more durable, but no extra cable comes in the box. The AS10 have decent audio reproduction that's very similar to the ZS10. Their passive noise isolation is great and their leakage performance is excellent which makes them quite versatile for different types of usage. 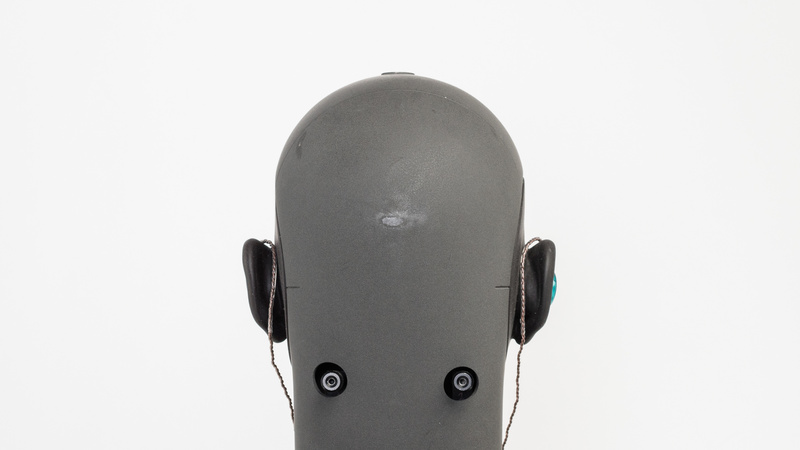 The model variant we reviewed did not have in-line remote and mic, but another variant does. 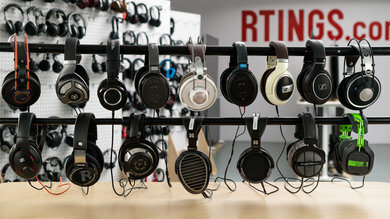 They look more high-end than their actual price range. 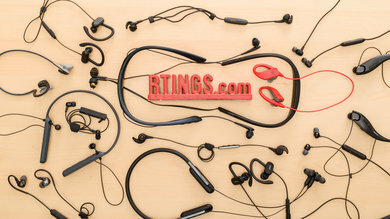 See our recommendations for the best noise cancelling earbuds, the best wired headphones, and the best cheap earbuds. 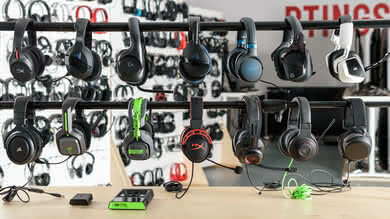 The KZ AS-10 and the KZ ZS-10 are very similar headphones. 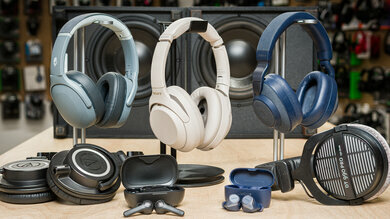 The ZS-10's sound is more accurate, while the AS-10 has more bass and a bit more punch to it. Design-wise, they are nearly identical. 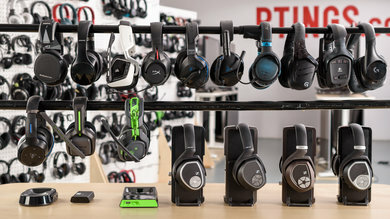 Both have bulky angled earbuds; the only difference being the AS-10 are a bit thinner, maybe making them a bit more suitable for everyone and more comfortable for smaller ears. The AS-10 also have better passive noise isolation. 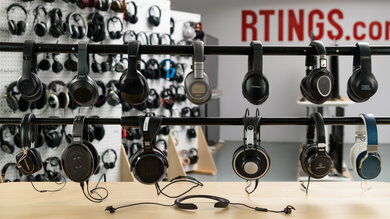 The KZ AS-10 are better sounding headphones than the Shure SE215. 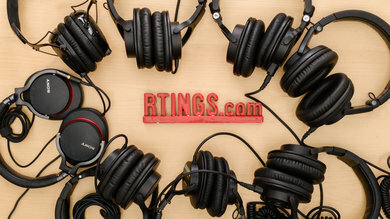 They also look better and have a better build quality, thanks to the braided and replaceable cable. You can also find a variant of the AS-10 in an in-line remote and mic, which the SE215 lacks. 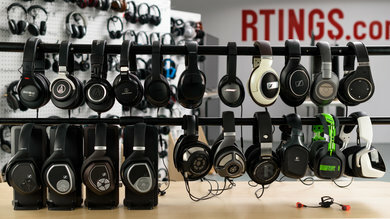 However, the SE215 are more comfortable and offer slightly better noise isolation. 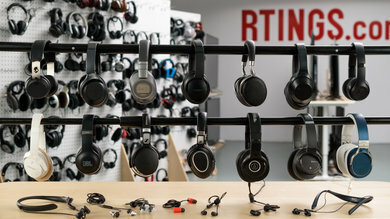 The better sound quality and cheaper price make the AS-10 a better choice over the SE215. Decent for mixed usage. The KZ AS-10 are comfortable in-ears that offer an average sound quality with good noise isolation, on top of very low leakage. 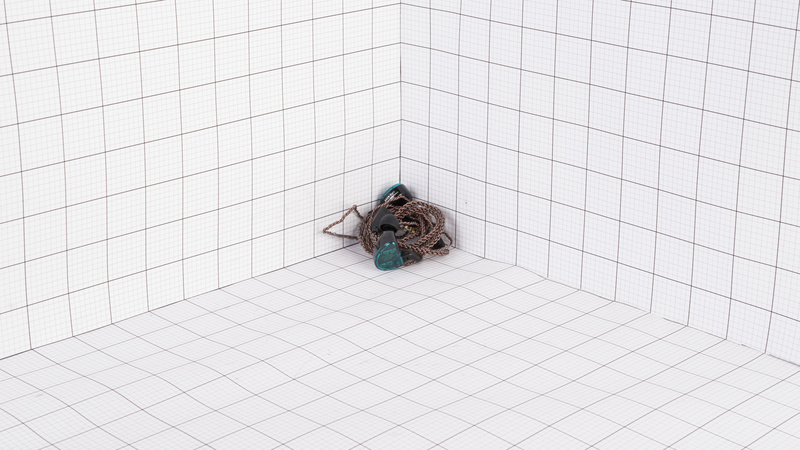 They are suitable for various environments. 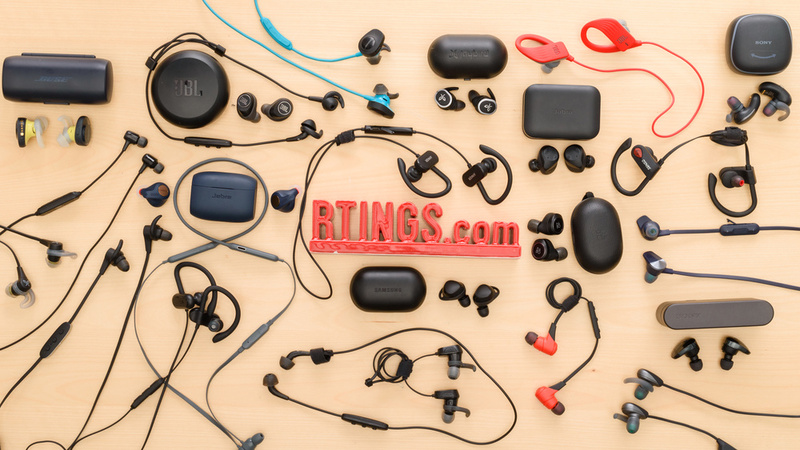 They are portable in-ears that fit in your pockets or in a bag. 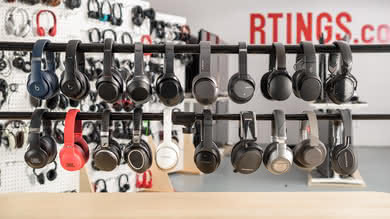 Their flexible ear-hook design keeps the earbuds stable in your ears. Unfortunately, the variant we tested didn’t have any in-line features, but there is a variant with an in-line microphone and remote, without volume controls. 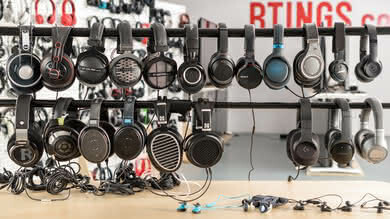 Decent for critical listening. They have a deep and punchy bass, an even and decently balanced mid-range and a good treble. However, they do sound a bit boomy due to the overemphasized bass while vocals and lead instruments sound like they are being pushed back in the mix. 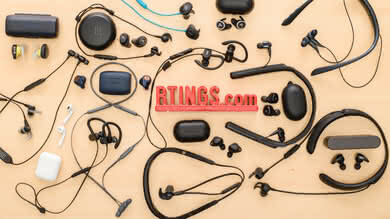 Like most in-ears, they have a poor soundstage which won't be ideal for more critical listeners. 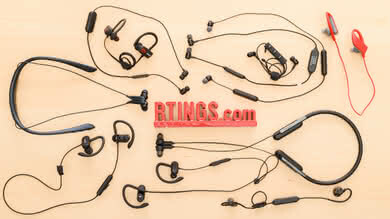 Nevertheless, they are decent sounding in-ears for their price range and will sound good enough for most users. Okay for commuting. They don’t let too much noise seep into your audio thanks to their great passive isolation, especially if you can find an air tight fit with the provided tip options. 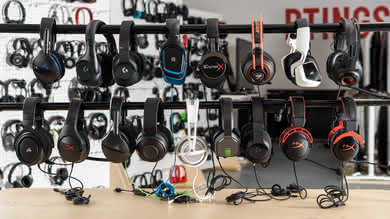 They also don’t leak much, so you can raise your volume to mask more ambient sound. Unfortunately, the variant we tested was not equipped with an in-line remote. On the upside, they are very portable and should fit in most pockets. Decent for sports. The flexible ear-hook design will keep the earbuds stable enough during exercise. 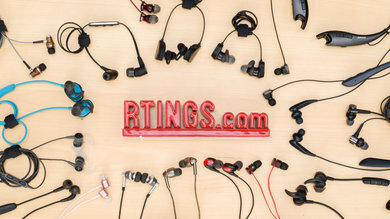 Being in-ears, they are lightweight and portable enough to keep on you at all times. On the downside, the variant we tested didn’t have in-line controls. However, the variant with the in-line remote doesn’t offer volume controls which isn’t ideal for working out. Average for office use. If you can get a good air-tight seal, they can block passively a great amount of ambient noise. Their leakage performance is excellent, so you can mask more noise by raising your volume without bothering colleagues. 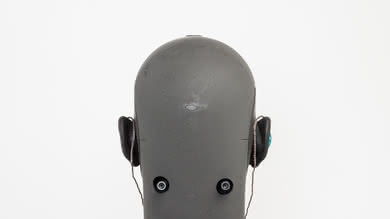 Unfortunately, the variant we tested did not have a microphone for making calls. 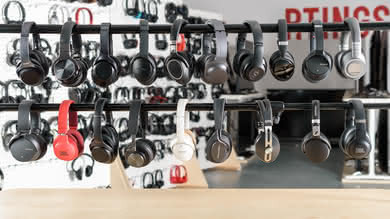 Even if these are decently comfortable, in-ears probably aren’t a great choice for an 8-hour shift. Mediocre for home theater use. They are more comfortable than most in-ears and have decent sound. Their wired connection is useful since it has no latency. On the other hand, the wired connection means your range is limited by the cord’s length. This can be a problem if you’re not watching video content on your computer or tablet. Passable for gaming. 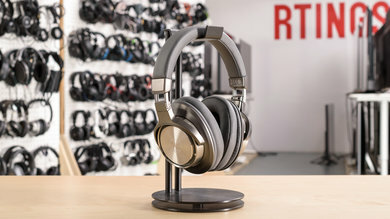 They are a decent sounding pair of headphones, their design is decently comfortable and they have a basically latency-free wired connection. 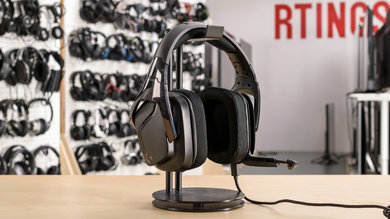 Unfortunately, the model we tested does not have an in-line microphone so only audio will be provided when connected to your gaming system. 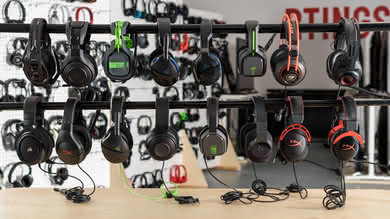 They are also not customizable like typical gaming headphones. 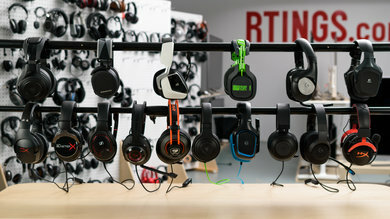 The short cable isn't as ideal as some wireless headsets we've tested. 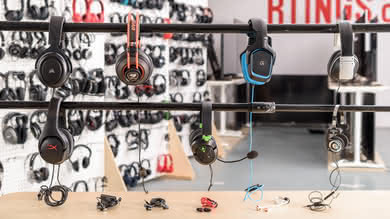 On the upside, the version that comes with an in-line microphone should be compatible with your console controller or PC.